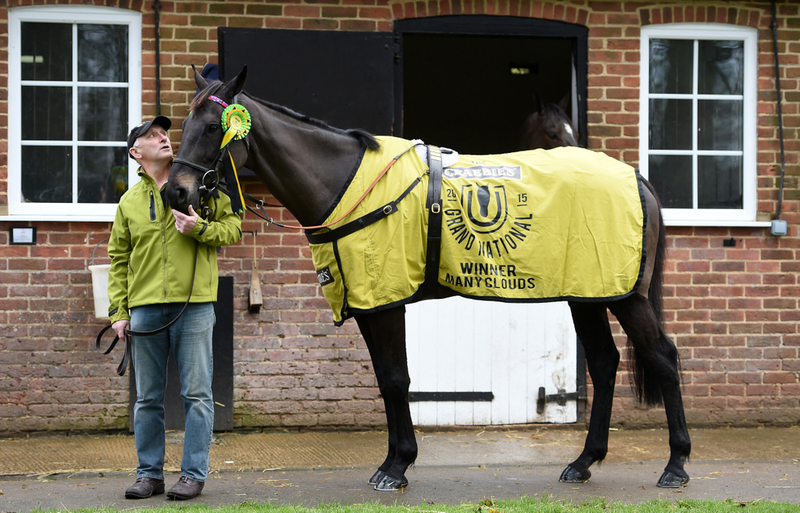 Kalashnikov was not the only horse to prove unfortunate at Cheltenham last month, only to put it right at Aintree in the last few days - including Ornua from the very same race, who likewise struck in the Maghull on Saturday. In a week of maiden Grade One successes, it was a first for trainer Amy Murphy, who has had to sit patient with this horse this season. The six-year-old certainly benefitted from a return to a favourable left-handed track that he completed, getting the better of standout mare of the year La Bague Au Roi, and Mengli Khan who booked third place once more. Last year's Supreme runner-up appears to have now made it as a chaser after a couple of below-par efforts at Kempton and at Sandown over the winter. His connections will surely aim him at left-handed tracks next season, and looks a potential Ryanair contender already. 2. KEMBOY FUTURE GOLD CUP HORSE? Kemboy's Gold Cup hopes were shattered this season when he unseated awkwardly at the first at Cheltenham, but he took full advantage of his clear freshness over his rivals, when landing the Grade One Betway Bowl in emphatic fashion. The likes of Clan Des Obeaux and Bristol De Mai were clearly feeling the effects of their Cheltenham exploits allowing Kemboy to succeed rather easily in all truths. Bar his unfortunate mishap in the Gold Cup, the seven-year-old had shown plenty of promise this term, when winning the Clonmel Oil Chase and the Savills Chase at Leopardstown. He probably would have won the Ladbrokes Trophy in reflection, and at his age, he has plenty of bright days ahead of him. Walsh would go onto win by a similar margin when he guided Min to revenge in the JLT Melling Chase; a step-up in trip looks set for him for the 2020 season. Willie Mullins achieved further success with Cadmium's commanding victory in the Topham, offering his claims for a National bid in twelve months time. All the seven-year-olds chase wins had come up to 2m2f beforehand, and he needed to find something extra on form over this trip. However, he was not the only horse on National weekend to relish these fences - after Tiger Roll's victory in the main event 24-hours-later, as Cadmium virtually did not seek a rival after making all and scoring comfortably under Gold Cup-winning rider Paul Townend. Sub Lieutenant finished six lengths back in second under Rachael Blackmore; who further raised her name with victory on Moon Over Germany in the Red Rum Handicap Chase, with Doitforthevillage back in third. Nicky Henderson did not have much luck with Buveur D'Air in the Aintree Hurdle on Thursday, and after a difficult season in reflection for the dual Champion Hurdler, he needed one of his star novices to step-up to the fore. That is certainly what the seven-year-old Champ did in the Doom Bar sponsored Sefton - stepping up to three miles for the first time and succeeding rather comfortably it must be said, under Mark Walsh - who came in for the ride in the absence of the injured Barry Geraghty. Emitom's unbeaten record came to an end for Warren Greatrex but still showed plenty of promise just three lengths down in second on his first start at the top level, and looks another flashy horse to bear in mind for the years to come. Champ though certainly looks the finished article, and will make a fine novice chaser next season. It also begs the question of how good Ballymore Novices Hurdle winner City Island is, who we may see at Punchestown in the next three weeks. Of course all the headlines on Saturday will focus on the big race - the Grand National, but we were treated to an excellent finish in the Ryanair Stayers Hurdle earlier in the day; registered as the Liverpool Hurdle. Apple's Jade was looking to bounce back from her poor showing in the Champion Hurdle at Cheltenham, whilst OLBG Mares Hurdle winner Roksana was looking to build on her from her first Grade One victory - for herself and the yard. The two locked horns for much of the straight, along with the Harry Fry's If The Cap Fits - all three who made mistakes on the run-in, leaving neither of which with any advantage. It was then left to see who found the most for pressure, and the 7yo owned by Paul and Clare Rooney stuck his neck out on the line to prevail with his new headgear, at a trip that certainly looked like it would suit after recent showings this season. Great prosperity for the connections but also for Sean Bowen, who won his first Grade One as a rider.